Corridors and stairwells in schools are very busy and noisy spaces. There are a number of acoustic challenges in these spaces. Firstly, the excessive noise created by the circulation of students and teachers can be disruptive to other pupils in adjoining classrooms and halls. Secondly, there are a lot of hard spaces meaning there is a problem with high reverberation and echo. Lastly, there are often restrictions in headroom (particularly around stairwells) meaning that solutions such as traditional suspended ceilings are not always possible. 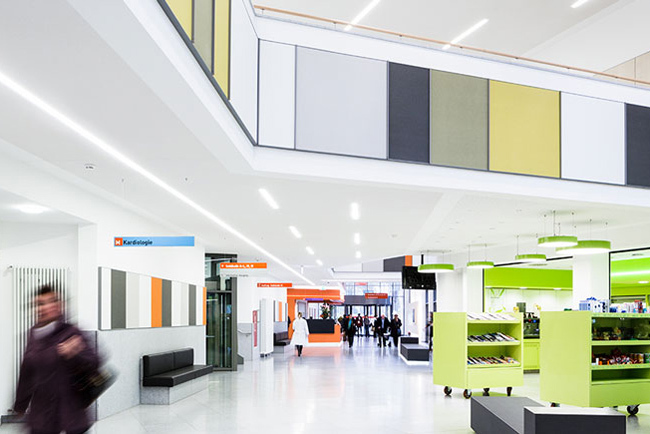 New schools also have to comply with BB93 which not only provides regulations for noise levels inside a classroom but also ensures that sound from connecting spaces – such as corridors and stairwells – does not disrupt school activity. 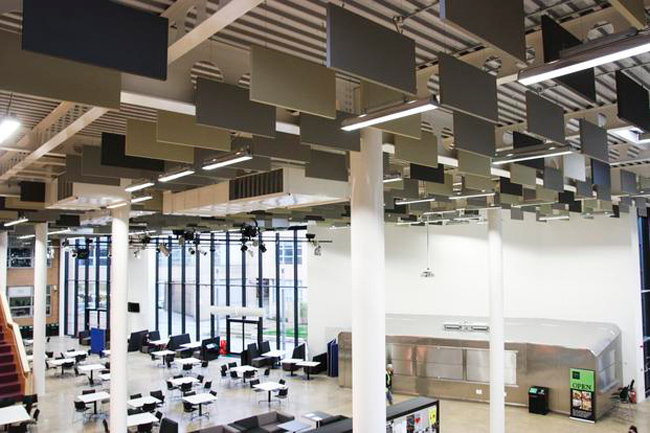 It’s important to provide acoustic insulation in school circulation areas so that the noise created does not travel into classrooms and disrupt learning. It’s very important that the teacher’s voice can be clearly heard above the background noise in teaching spaces. Too much noise travelling from a stairwell or corridor into a classroom can disrupt learning and concentration. Good circulation acoustics can absorb noise and block it from entering another room. BB93 not only provides guidelines for classroom acoustics, it also recommends how excessive noise can be dealt with in circulation spaces. Ensuring good school circulation acoustics will help to comply with BB93 regulations. 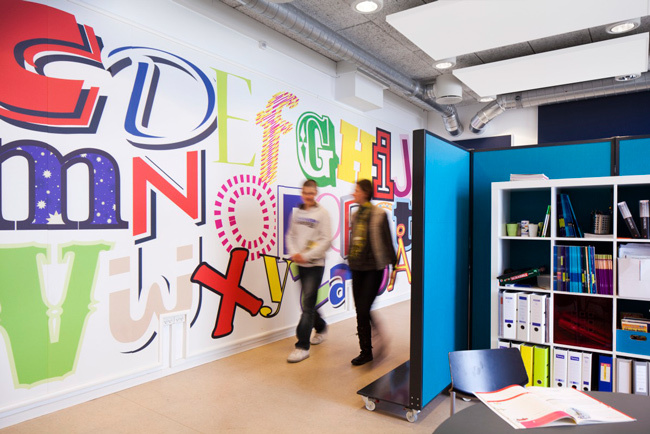 Explore our acoustic solutions for schools.